For gates up to 1,600 lbs. and 60 ft. in length. Recommended for commercial, residential, farm, and ranch applications. This is a Viking L-3 Commercial Slide Gate Operator. The newly redesigned L-3 commercial slide-gate operator features the VFlex control board with on-board diagnostics LCD screen and a removable power supply box for low-voltage wiring. It also sports a new chassis design, providing easy viewing of the controls and integrated post-mount provisions. 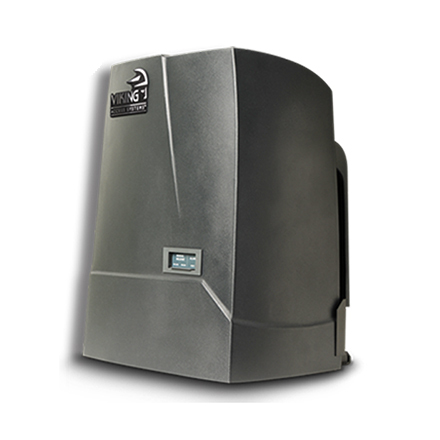 Additionally it has a built-in heater, increased gate capacity, a true standard battery backup system, and a 5-year commercial and 7-year residential warranty. 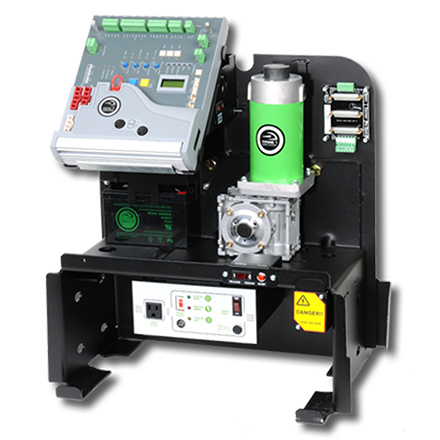 This operator features simple push-button digital-limits setup, a lockable cover with convenient access to the manual release switch, and it complies to ETL and UL standards. All of this makes it an excellent choice for your residential or commercial slide-gate application.